After changing this value, you must perform a full render - not just a refresh rendering. 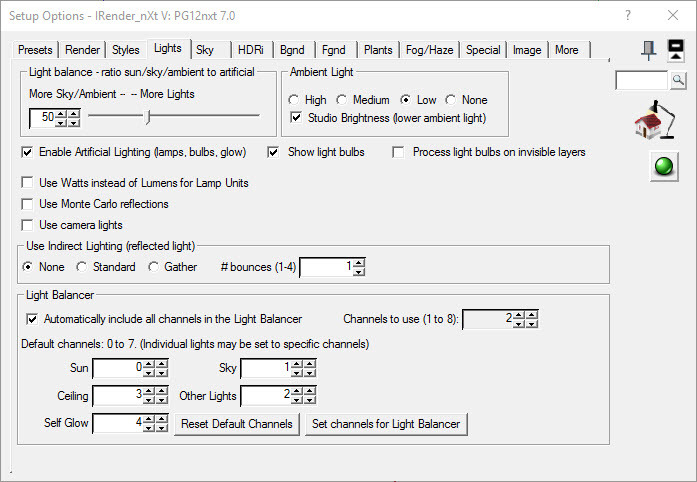 Lights Query and Edit Lights in Model Loads the Lights Query and Edit Wizard to find and edit lights in the model. Artificial Lighting - Turn this off to not use the illumination of lamps in the model. The camera_light component will be aligned to the camera while rendering, and then hidden again after the rendering is complete. Sets the names of the lighting channels.